The closing date for funding applications under the GP Sustainability Loan Fund for the financial year 2018/19 was 12 December 2018 and over 170 GP practices submitted applications. 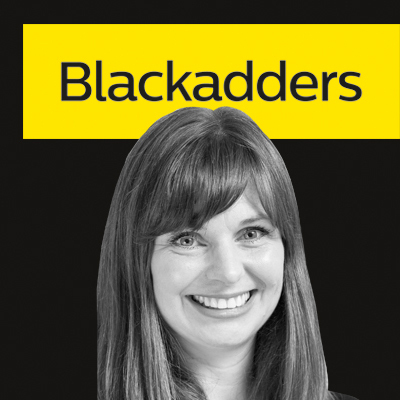 The Scottish Government will make funding decisions on the first round of applications by 25 February 2019, and many of Blackadders’ GP clients are now receiving their funding offers from the NHS Central Legal Office. Additionally, the Scottish Government has announced a further investment of £20 million in the Fund, which is designed to reduce the financial burden on GP practices which own their premises and is the first step towards the wider aim that no GP practice will own its GP premises by 2043. All GP practices which own their premises are eligible to receive an interest-free secured loan from their local Health Board of up to 20% of the “existing-use” value of their premises. £50 million is to be made available in loans under the scheme by 2021. Loans are repayable on the earlier of (i) the premises ceasing to be used by the GP practice for the provision of primary medical services under a Health Board contract, or (ii) when they are sold. GP practices which submitted an application but do not receive funding this time will automatically have their applications rolled forward and submitted for consideration in the next round. If your practice has received a sustainability loan offer Blackadders can assist by reviewing the offer with you and advise on the key terms. It is envisaged that these loans will be in place for lengthy periods and it is crucial to be aware of any ongoing impact this will have on the operation of your practice. It is also important to understand how liability for the loan will be allocated among existing practice partners. It may be necessary to review and amend your existing partnership or practice agreement to take account of the loan arrangements. Once a loan offer is accepted by a practice, the loan will only be made available to the practice once all the necessary legal documentation is in place. where there is already existing security granted over the premises to a third party lender, deliver an agreement between that lender and the sustainability lender dealing with the ranking of their respective security, or arrange for the discharge of the prior loan and its security. All of these aspects will require legal advice and assistance. Some may even throw up further legal issues which will require to be resolved prior to the loan being made available. It will be important to ensure for example that the legal ownership structure of the premises is correct and up to date. This will need to be rectified before security can be granted. If you or your GP practice has received a sustainability loan offer or you are considering applying for one in the next round of funding, Blackadders would be delighted to offer the benefit of our expertise to assist you to smoothly access your funding as soon as possible. Blackadders LLP is a full-service law firm working in multi-disciplinary teams. We have wide experience advising healthcare sector clients on the above issues, please speak to a member of our Corporate & Commercial team for help and advice.